… and the opportunity to address a large audience of talented and influential cloud and open-source experts! The third ever OpenNebula International Conference, will be held in Barcelona from the 20th to the 22nd of October 2015. As you may already know previous editions were a total success, with useful OpenNebula experiences masterly portrayed by people from Akamai, Produban -Santander Group-, BBC, FermiLab, ESA, Deloitte, CentOS, and many others. Should you be interested, we would like to ask you to fill the Session Proposal Form before April 15th. This Newsletter is intended to OpenNebula users, developers and members of the community, and compiles the highlights of the OpenNebula project during this last month and what are the planned actions for the upcoming months. The OpenNebula team released this month the latest stable release, 4.12 Cotton Candy. This is a stable release and so a recommended update for all production deployments. Cotton Candy comes with several improvements in different subsystems and components. OpenNebula is now able to generate cost reports that can be integrated with chargeback and billing platforms, and also presented to both the administrators and the end users. Moreover Virtual Datacenters have been redefined as a new kind of OpenNebula resource. Making VDCs a separate resource has several advantages, for instance they can have one or more Groups added to them. This gives the Cloud Admin greater resource assignment flexibility. Other perks of upgrading your installation to 4.12 include SPICE support, the excellent addition of Security Groups -allowing administrators to define the firewall rules and apply them to the Virtual Machines-, support for VXLAN, huge improvements in vCenter -import running VMs, network management, new vCenter cloud view, VM contextualization support, etc -,system datastore flushing, and many more minor features and important bugfixes. As usual, the migration path has been thoroughly designed and tested so updating to Cotton Candy from previous versions is a breeze. No excuses then for not bringing your OpenNebula to the latest state of the art in cloud management platforms! We certainly love our community, and it seems like you love us back! We are very proud of having Runtastic among our users, and when they explain why they chose us, we feel elated. They started with OpenNebula using the virtualization management features, and are continuously evolving towards more cloudy features. Way to go! Good to know that OpenNebula clouds are expanding, this means they are healthy clouds. Like this one by bpsNode, expanding to Miami and Dallas. We are also excited by awesome user stories like this one featuring Altus IT with Lenovo delivering IT infrastructures in Croatia using OpenNebula. Way to go! How good is your Russian? If you are fluent, enjoy the reasons of why Yuterra chose OpenNebula and Ceph for its Private Cloud. Moreover, fluent in German as well? Check out this OpenNebula webinar then. Spreading the word is also something we deeply value from our community, hence we want to welcome the newly born Barcelona User Group! If you are in Barcelona, check it out, you won’t be disappointed. Also,we have like this example in FOSSAsia. And it is quite funny too, do not miss. We love also this kind of feedback, how OpenNebula plays nice with other components in the ecosystem. Keeping our marketplace healthy and up to date is also kudos for the community, like this addition of ArchLinux to the catalog. Thanks! A big thanks as well to all those members of the community that make possible to have a multi language Sunstone. This really foster adoption and we never could have done it without you! And last, but not least, it is very gratifying to see how OpenNebula helps build robust products like this one. After the second edition of the OpenNebula Conference, we are already preparing for the upcoming, third edition in Barcelona, October 2015. Interested? You are still in time for getting a good price deal for tickets. If you want to share your OpenNebula experiences, the call for papers is open as well until the end of this month, so the clock is ticking, do not miss the chance!. Also, your company may be interested in the sponsorship opportunities for OpenNebulaConf 2015. This last month, the OpenNebula project proudly sponsored a corner of the Open Cloud & Developer Park at the Cloud Expo Europe. During two intense days, members of the team gave several talks about the OpenNebula philosophy, design and features in the Park’s theatre. Also on board in the OpenNebula corner, our partners from CoudWeavers showed how OpenNebula do everything it does with a minimal footprint. The guys from viApps also did not missed the opportunity to be in a pod in the corner to tell the attendees about their integration and added value. OpenNebula Systems, the company behind OpenNebula, was also present in their own pod presenting vOneCloud, the product that turns your vCenter infrastructure into a private cloud. Also, Runtastic introduced us to the reasons why they chose OpenNebula over other Cloud Management Platforms, to build a cloud serving 50 million users. Impressive! The TechDay in Prague was a total success, with a full house with high participating attendees and lots of juicy feedback. We plan to follow with other cities including Chicago, Dallas and Dublin. Send us an email or send it to the community discuss mailing list if you are interested in hosting a TechDay event. As you may know, OpenNebula is participating in the BEACON project, flagship European project in federated cloud networking, due to this members of the team traveled to Brussels for the NetFutures15, to find synergies with other research projects. 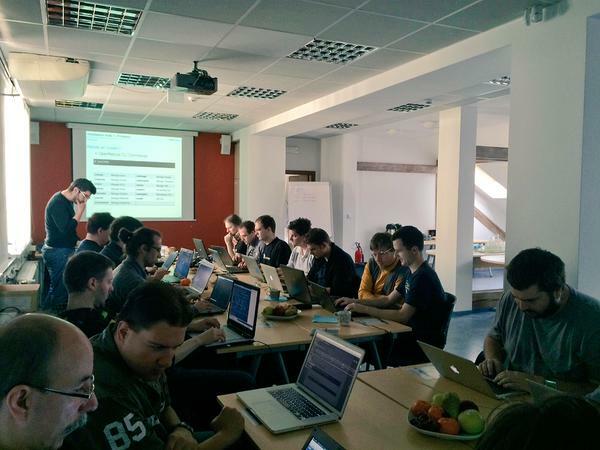 If you are interested in receiving OpenNebula training, check the schedule for 2015 public classes at OpenNebula Headquarters. Please contact us if your would like to request training near you. As you know, the community of OpenNebula is an important pillar for the project. Opennebula community through the distribution lists and forums can express their questions, requests, or contribute with new ideas to the developers. This information is very useful and can contribute by helping other users or develop new features. However, OpenNebula project thought in User Groups too. The OpenNebula User Groups are local communities, where users can discuss or share information and experiences in a more direct way across ‘town’. Getting a closer diffusion, and joining people who want to collaborate with the project. Also, remember that this year (2015) the Opennebula annual conference travels from Berlin to Barcelona, ​​the ‘smartcity’ that will be the meeting point where developers, users, administrators, researchers, … can share experiences, case studies, etc. For these reasons, some cloudadmins of Barcelona area have decided to create the Barcelona OpenNebula User Group. This group aims to be a small-scale community where we can discuss and find common objectives that support the project. We have created a website and a Google group where we will inform about first steps and work together in common goals. In addition, and inside ONEBCN usergroup official presentations tour we will be next 5th of May on sudoers, a sysadmins group that meets regularly at the North Campus of the UPC. 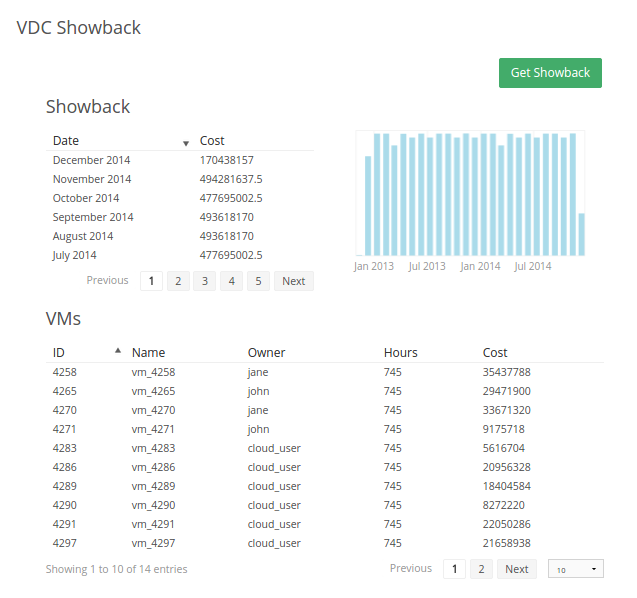 A new version of vOneCloud, 1.2.1, has been released. This is an update to the previous stable version, 1.2, and it is an open release to the general public, meaning that you don’t need an active support subscription to access this upgrade. If you don’t have currently a running instance of vOneCloud, you can download an OVA with 1.2.1 already installed, you will need only to register in the vOneCloud support portal and visit this article. https://opennebula.org/wp-content/uploads/2018/11/opennebula_cloud_logo_white_bg-4.png 0 0 Tino Vazquez https://opennebula.org/wp-content/uploads/2018/11/opennebula_cloud_logo_white_bg-4.png Tino Vazquez2015-03-23 13:53:182015-03-23 13:53:18vOneCloud 1.2.1 is Out! As you may already know, this year OpenNebula Conf is taking place in Barcelona, Spain, on October 20-22. If you want to participate in this event and you have not submitted your talk yet, you have until March 31. Also we would like to remind you that the tickets are already available and if you buy your ticket before June 15th, you get the best discount of the year. 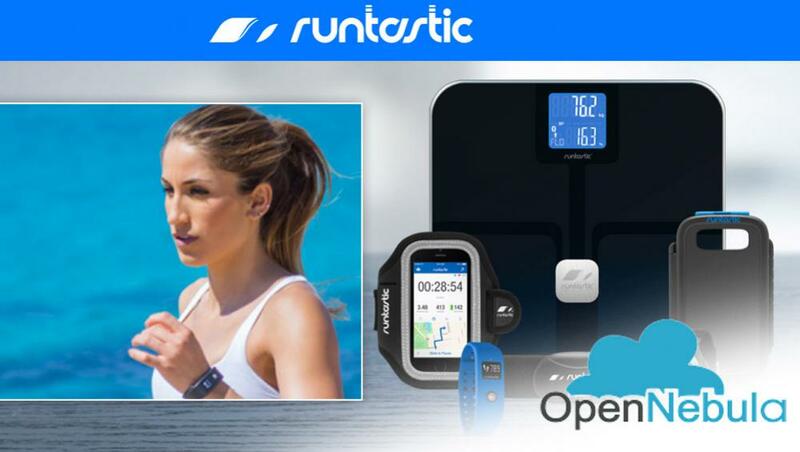 Why Did We Choose OpenNebula for Runtastic? Armin Deliomini is a Linux, virtualisation and database engineer at Austrian-based mobile fitness company Runtastic, and has made a rewarding journey from commercial cloud solutions – such as VMware and Oracle – in favour of completely open-source alternatives. Over the last two years Armin has implemented a private ecostructure for the Runtastic ecosystem and its 50 million users. Armin will be speaking today at Cloud Expo Europe taking place alongside Data Centre World, this week on the 11th and 12th March. Since 2009 Runtastic has created apps, products and services for health and fitness tracking and management – a powerful infrastructure including around 300 virtual machines on thirty OpenNebula nodes, ensuring that 100 million downloaded apps and around 50 million registered users can access our services at any time. We didn’t have a lot of time to decide on a technology to run our virtual environment. We had the classic vSphere environment in mind, but building an environment completely around opensource software spoke against a commercial virtual solution. We tested Ovirt, Proxmox and Openstack, the latter of which was very close, since we use Ubuntu in our overall infrastructure, and it was the most-hyped Opensource cloud solution at that time. A meeting with Tino Vasquez at the Netways booth at Cebit 2013 convinced us that OpenNebula was at least worth a thought.We set up a test installation; four months later our first production-grade OpenNebula cluster was fired up. So why did we choose OpenNebula? Firstly, we liked the flexibility; in our business we don’t know exactly where the road ahead is leading. We had to find a technology that would grow with our needs and that we could adapt easily. We came at that time from a classic Virtualization background, with Vmware vSphere, and that was how we started with OpenNebula – classic virtual machines running on a hypervisor cluster that was managed by a central piece of software. But we also knew that this was not the future. OpenNebula gave us the comfort to start in a well known way, but at the same time gave us room to evolve.Our first set-up consisted of 16 KVM hosts and a Netapp storage serving NFS. In the beginning OpenNebula didn’t do more than give us an interface to start and stop machines, and to change their resource settings; but over time the situation developed very favourably. Our newly-launched machines are automatically included into Chef, and start doing their work within a minute. We also have the possibilty to start machines in external clouds in the event of resource shortages. Our current projects are a new Cisco UCS Blade infrastructure operating as OpenNebula nodes, to lift our compute power to ~ 1000 cores, and Ceph as a future storage backend – a successor to our two NFS storages. 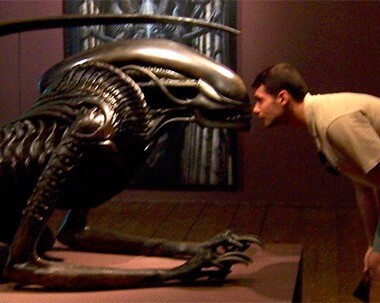 We set up our first Ceph cluster in our preproduction environment recently. https://opennebula.org/wp-content/uploads/2018/11/opennebula_cloud_logo_white_bg-4.png 0 0 OpenNebula https://opennebula.org/wp-content/uploads/2018/11/opennebula_cloud_logo_white_bg-4.png OpenNebula2015-03-12 11:26:132015-03-12 11:26:13Why Did We Choose OpenNebula for Runtastic? OpenNebula 4.12 Cotton Candy is Out! The OpenNebula team is pleased to announce the immediate availability of the final version of OpenNebula 4.12, codename Cotton Candy. This release ships with several improvements in different subsystems and components. For the first time, OpenNebula will be able to generate cost reports that can be integrated with chargeback and billing platforms, and also presented to both the administrators and the end users. Each VM Template defined by the Cloud administrator can define a cost per cpu and per memory per hour. Starting with Cotton Candy, Virtual Datacenters are a new kind of OpenNebula resource with its own ID, name, etc. and the term Resource Provider disappears. Making VDCs a separate resource has several advantages over the previous Group/VDC concept, since they can have one or more Groups added to them. This gives the Cloud Admin greater resource assignment flexibility. In addition to the well known VNC support in Sunstone, OpenNebula 4.12 includes support to interact with Virtual Machines using the SPICE protocol. This feature can be enabled for any Virtual Machine just checking the option in the input/output section of the Template creation form. Networking has been vastly improved in 4.12, with the addition of Security Groups, allowing administrators to define the firewall rules and apply them to the Virtual Machines. Also, Virtual Extensible LAN (VXLAN) is a network virtualization technology aimed to solve large cloud deployments problems, encapsulating Ethernet frames within UDP packets, and thus solving the 4096 VLAN limit problem. Cotton Candy is fully capable of managing VXLANs using the linux kernel integration. Important new features related to the newly introduced vCenter support are available in OpenNebula 4.12: the ability to import running VMs and networks, including the attach/detach NIC functionality, a new cloud view tailored for vCenter, VM contextualization support and reacquire VM Templates with their logo and description. Finally, several improvements are scattered across every other OpenNebula component: the possibility to flush and disable a system datastore, improvements in Sunstone for better user workflow, and many other bugfixes that stabilized features introduced in Fox Fur. As usual OpenNebula releases are named after a Nebula. The Cotton Candy Nebula (IRAS 17150-3224) is located in the constellation of Ara. This is a stable release and so a recommended update. It incorporate important improvement since 4.10 and several bug fixes since 4.12 Beta. Be sure to check the compatibility and upgrade guides. We invite you to download it and to check the QuickStart guides, as well as to browse the documentation, which has also been properly updated. Security Groups were funded by BlackBerry, and network extensions to the vCenter driver by Echelon, in the context of the Fund a Feature Program. Thanks the community members and users who have contributed to this software release by being active with the discussions, answering user questions, or providing patches for bugfixes, features and documentation. https://opennebula.org/wp-content/uploads/2018/11/opennebula_cloud_logo_white_bg-4.png 0 0 Tino Vazquez https://opennebula.org/wp-content/uploads/2018/11/opennebula_cloud_logo_white_bg-4.png Tino Vazquez2015-03-11 10:36:422015-03-11 10:36:42OpenNebula 4.12 Cotton Candy is Out! We want to let you know about what we are up to with the main news from the last two months regarding the OpenNebula project, including what you can expect in the following months. The OpenNebula team released OpenNebula 4.10.2 last month. There were several affected components, ranging from drivers to the OpenNebula core as well as different Sunstone views. On the security side, a vulnerability in the xmlrpc server was patched, thanks to Dennis Felsch and Christian Mainka for reporting it. Many other bugfixes and minor improvements were made to your favourite CMP, check the complete changelog here. We would like to thank Echelon for making vCenter networking support possible in OpenNebula 4.10.2 through the Fund a Feature program. Aiming at not missing a beat (not ever!, we just reached the 10 thousand commits mark in OpenNebula), the team also released recently the beta version of OpenNebula 4.12. you can check bugfixes and new features here. We think you will enjoy the new additions, specially the SPICE support in Sunstone, as well as the Virtual Data Center redesign. 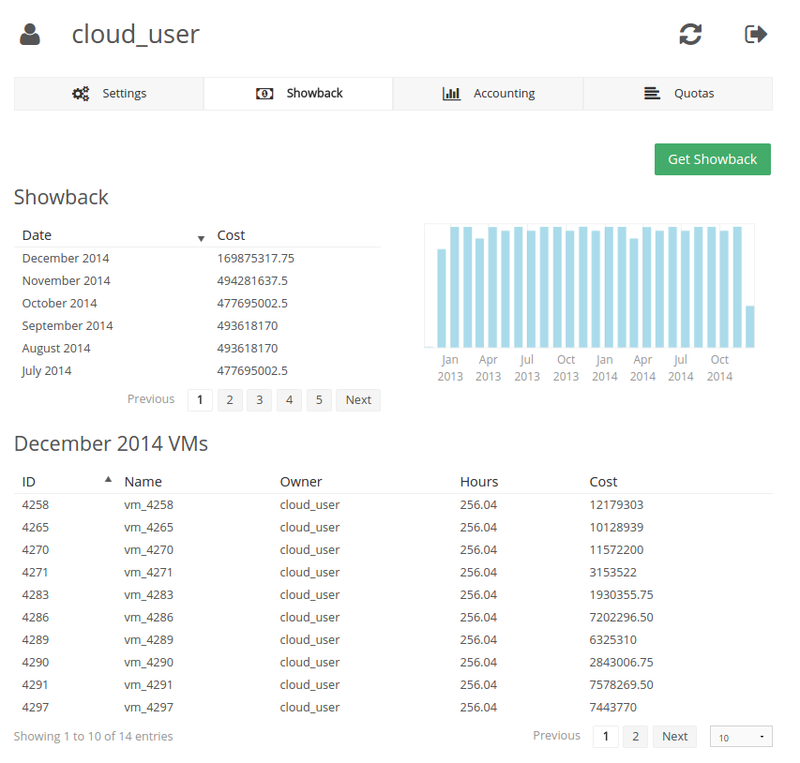 Also, showback capabilities are included in 4.12, OpenNebula will report resource usage cost, enabling the integration with chargeback and billing platforms, the possibility to flush and disable a system datastore, the introduction of Security Groups, allowing administrators to define the firewall rules and apply them to the Virtual Machines, the ability to use VXLANs in your OpenNebula infrastructure, and many more. Moreover, important new features related to the newly introduced vCenter support are available in OpenNebula 4.12: ability to import running VMs and networks, including the attach/detach NIC functionality, a new cloud view tailored for vCenter, VM contextualization support and reacquire VM Templates with their logo and description. If you ever wondered how to build a network overlay between two OpenNebula sites, or between your OpenNebula powered datacenter and any of the supported public clouds (Amazon EC2, MS Azure, IBM SoftLayer), then you are in for a treat. OpenNebula is going to participate in BEACON, the flagship european project bringing SDN and NFC advances to federatd cloud networking. The Project is set to pave the road towards the true start of a revolution in cloud networking, developing the building blocks to enable next generation network functionalities within and across data centers and cloud sites. This will foster the integration of OpenNebula and the SDN OpenDaylight, which we believe are very good news. It is also in line with the results of the European Commission Workshop on Global Cloud Experimental Facilities, placing OpenNebula on networking into the cloud. But OpenNebula 4.12 is not the only important release of 2015 to date, vOneCloud 1.2 release also hit the road recently! If you haven’t heard yet, vOneCloud is an OpenNebula distribution optimized to work on existing VMware vCenter deployments, easing the deployment of an enterprise-ready OpenNebula cloud in just a few minutes in VMware environments managed by familiar tools such as vSphere and vCenter Operations Manager, enabling cloud provisioning, elasticity and multi-tenancy features. vOneCloud 1.2 comes with new features -it is worth highlighting the automatic import of virtual machines running in a vCenter instance into vOneCloud, with zero downtime- as well as new components -like the Control Panel, a web interface that eases the configuration of vOneCloud services and enables one click smooth upgrades to newer versions-. The OpenNebula Project decided to take a step forward and change the good old mailing list to a new discourse forum as the vehicle for community support. This was a well meditated decision which we hope pleases the community, but we will also keep an open ear for alternatives! The OpenNebula community is very engaged one and never sleeps! Check out this server for recording VM and Host monitoring traffic. Feedback on product flaws (like we receive in the mailing list and now in the new support forum) is crucial for the project. But also very important for the project is the positive feedback, like these received in twitter: blush number one and double blush number two. Keep on keeping on! Members of the dev team get bored from time to time (not much though, too much work), a come up with amazing stuff for the community like this integration of OpenNebula and Latch. Pushing OpenNebula to its limits is fun to watch. Like launching 100 CoreOS VMs in 3’21” -2 seconds per VM-. Woah, awesomeness should have a speed limit! After the second edition of the OpenNebula Conference, we are already preparing for the upcoming, third edition in Barcelona, October 2015. Interested? You are still in time for getting a good price deal for tickets. If you want to share your OpenNebula experiences, the is open as well until the end of March. Moreover, your company may be interested in the sponsorship opportunities for OpenNebulaConf 2015. Recently, a spanish speaking video sessions were recording capturing user experiences regarding OpenNebula, called Jornadas Rediris. If you are fluent in spanish, check the recordings because there were really good contents and insights. We are also fostering a number of OpenNebula Technology days in several cities across the world. We will start with the Prague in the Czech Republic this 25th of March, and we plan to follow with other cities including Chicago, Dallas and Dublin. Send us an email or send it to the community discuss mailing list if you are interested in hosting a TechDay event. We want to highlight the strong presence the OpenNebula project will have in the Cloud Expo Europe 2015, this 11th and 12th of March in London. OpenNebula will sponsor one of the corners of the Open Cloud & Developer Park. Besides several members of the OpenNebula Team, partners that add value to OpenNebula will be present, like viApps, CloudWeavers as well as OpenNebula Systems, the company behind OpenNebula. If you are in London, come round for some special OpenNebula talks! The OpenNebula project is proud to announce the availability of OpenNebula 4.12 Beta (Cotton Candy). This release ships with several improvements in different subsystems and components. For the first time, OpenNebula will be able to generate cost reports that can be integrated with chargeback and billing platforms, and also presented to both the administrators and the end users. Each VM Template defined by the Cloud administrator can define a cost per cpu and per memory per hour. In addition to the well known VNC support in Sunstone, OpenNebula 4.12 will include support to interact with Virtual Machines using the SPICE protocol. This feature can be enabled for any Virtual Machine just checking the option in the input/output section of the Template creation form. The OpenNebula team is now set to bug-fixing mode. Note that this is a beta release aimed at testers and developers to try the new features, and send a more than welcomed feedback for the final release. https://opennebula.org/wp-content/uploads/2018/11/opennebula_cloud_logo_white_bg-4.png 0 0 Daniel Molina https://opennebula.org/wp-content/uploads/2018/11/opennebula_cloud_logo_white_bg-4.png Daniel Molina2015-03-02 11:56:222015-03-02 16:32:07OpenNebula 4.12 Beta released! OpenNebula Systems has just announced the availability of Standard 9×5 Support Subscriptions in EST Business hours. Previously, the 9×5 support subscription was only available in CET business hours. Basic Level: Expert support with basic SLAs within regular business hours. Basic support is available for smaller non-production installations. Standard Production Level: Expert support with production SLAs within regular business hours in CET and EST zones. Standard Support Subscriptions include everything from Basic Support, as well as bug fix requests, unlimited issues, long-term multi-year support, indemnification and license flexibility. Premium Production Level: Expert support with production SLAs 24×7 and immediate access to engineers. Premium Support Subscriptions include everything from Standard Support along with quicker maximum response times and higher number of accounts in support portal. The following table summarizes response time and features in the levels of support. More details at the OpenNebula.systems. OpenNebula Systems is expanding its U.S. operations to help support increasing global demand for OpenNebula solutions. Stay tuned for more news.